All you need are four simple ingredients and 15 minutes to make these Pumpkin Spice Pretzels. They’re the perfect Fall snack! I was in the mood for something crunchy and a little sweet to snack on recently and tweaked my Brown Sugar & Cinnamon Pretzel recipe to make these Pumpkin Spice Pretzels. These pretzels were SO good and not to mention easy! 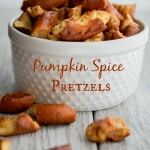 You have to try these Pumpkin Spice Pretzels next time you’re looking for something new to snack on. They would also be a great game day or movie night snack. ~Enjoy! Get my weekly newsletter for the latest recipes and receive a FREE eBook! 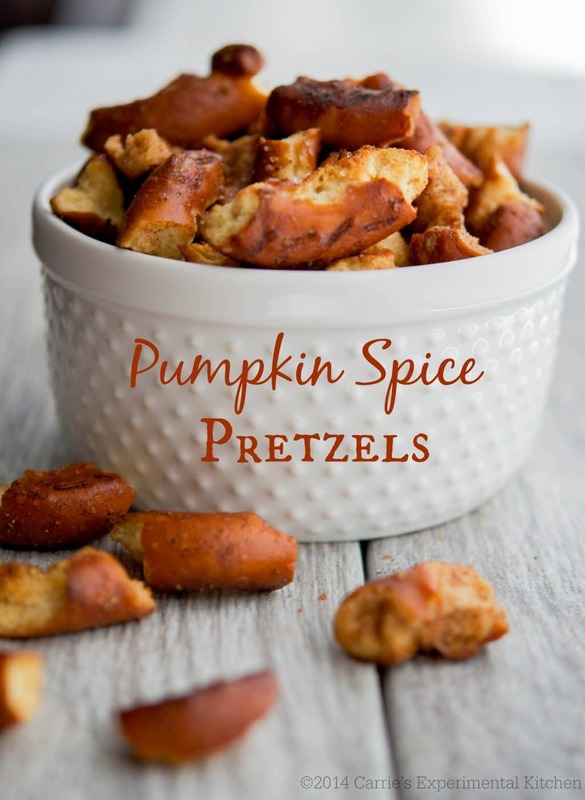 All you need are four simple ingredients and 15 minutes to make these Pumpkin Spice Pretzels. They're the perfect Fall snack! Break the pretzels into bite sized pieces and place in a bowl. In a separate small bowl, combine the melted butter, pumpkin pie spice and maple syrup; mix well. Pour the butter mixture over the pretzels and mix well to coat. Place the pretzels on a baking sheet and bake for 10 minutes. Remove from oven and allow to cool completely before storing in an airtight container.